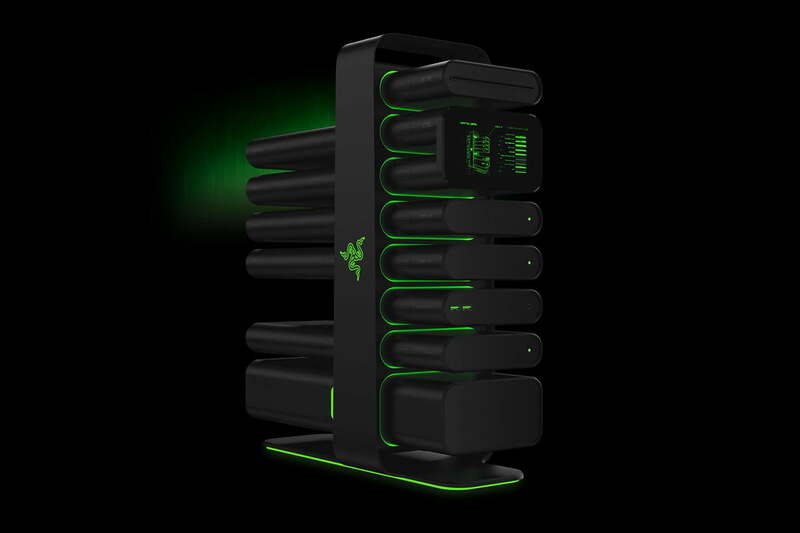 Razer is not a large company, but it has a history of making a big splash at CES. 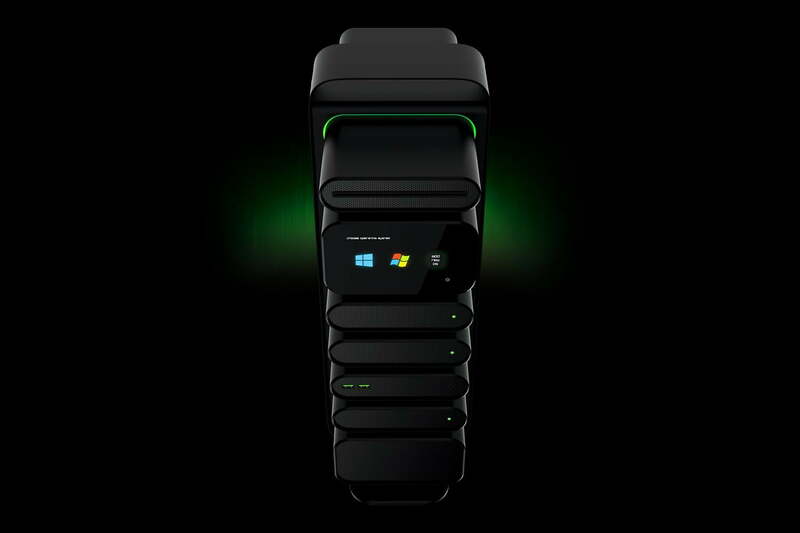 This year, it doubled down on game-changing announcements, showing not only a wearable device but also a concept PC unlike anything seen before. 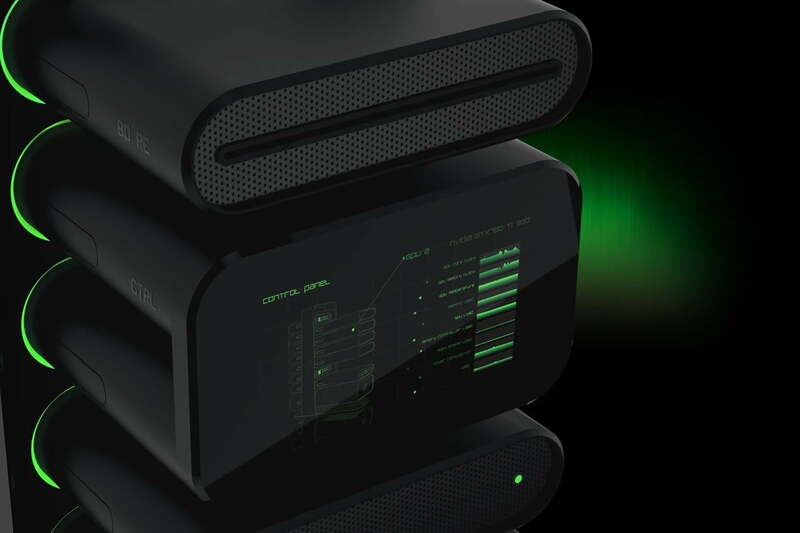 The latter, named Project Christine, is a bold re-imagining of the modern desktop with a modular design that turns upgrading, which can be complex and problematic for many, into a plug-and-play experience that’s potentially accessible even to the novice system tinkerer. This new approach could bring the advantages of the PC within everyone’s reach, but it also gives the middle finger to the status quo and challenges the fundamental principles that companies and enthusiasts have grown accustomed to. This begs the question: does Project Christine really stand a chance? Or is the industry – and its users – too set in their ways to make such a radical shift possible. In its early years, the PC was a diverse platform. In fact, it wasn’t much of a platform at all. Different companies made whatever they could out of whatever they could get their hands on, and while certain components might be shared, configurations varied. The innards of an Apple I would not fit in a Commodore 64, and vice versa. That became a bit of a headache. Manufacturers, most notably IBM, tried to fix the problem by building many PCs with common parts, leading to the “IBM compatible” moniker. But as the industry expanded, a better standard was needed. 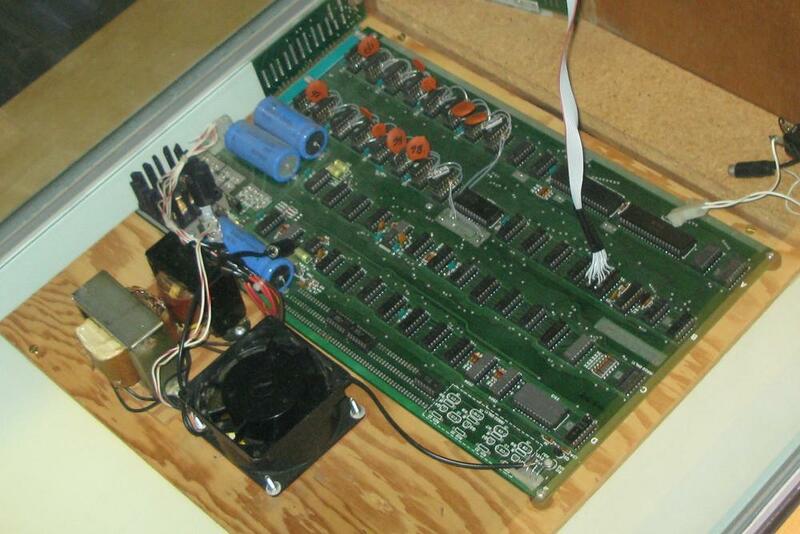 This led to Intel creating the ATX form factor back in 1995. And PCs have used that form factor ever since, though it now comes in a few different sizes. That’s right; after almost 20 years, the skeletal structure of a modern desktop PC has barely changed. Intel tried to alter its own monster with the BTX form factor in 2005, which was more compact and also improved processor airflow, but it never caught on. Intel’s inability to reform the desktop with BTX shows just how entrenched the PC platform has become. ATX made it easier for companies to build computers and simpler for users to fix them, but also created a juggernaut of shared knowledge with incredible momentum behind it. An ATX desktop is a known quantity; Project Christine is new and unknown. Many users understandably prefer the former. 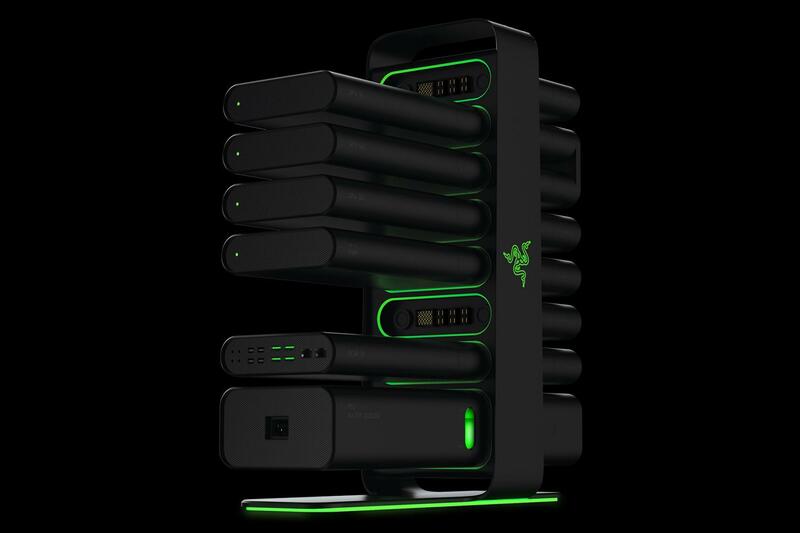 Razer is staffed by some bright folks, however, so they haven’t turned the PC entirely on its head. While the modular design envisioned by the company abandons ATX, everything on Project Christine connects using the familiar PCI-Express standard, which has gobs of bandwidth and is readily recognized by all desktop operating systems. In theory, Christine is entirely compatible with modern operating systems and existing software, though some fancy drivers would be required to make it all work swimmingly. The “pods” in which individual components are held show some promise, too. They’re large enough to hold most modern components, and all they’d need to work is a custom adapter that converts a component’s native connection to PCI-Express. Though easier said than done, fashioning such hardware is not impossible. This means that Razer may not even need approval from component manufacturers to get Project Christine off the ground. If custom hardware to connect video cards and processors is made in-house, there’s no need to work with or seek approval from other firms. At first thought, Project Christine seems great. But there are problems that Razer needs to solves if it wants Christine to be a rousing success. The first issue is cooling. A big, boxy PC case may not be attractive, but it does a fine job of keeping components from overheating. Air comes in through the front, moves over a variety of components, and then exits through the rear or top panel. A desktop’s large, unobstructed internal space helps air flow freely and allows for the use of large fans that facilitate airflow. Ease of use is a desirable trait, and desktops simply need to be more accessible. Project Christine casts off these benefits. 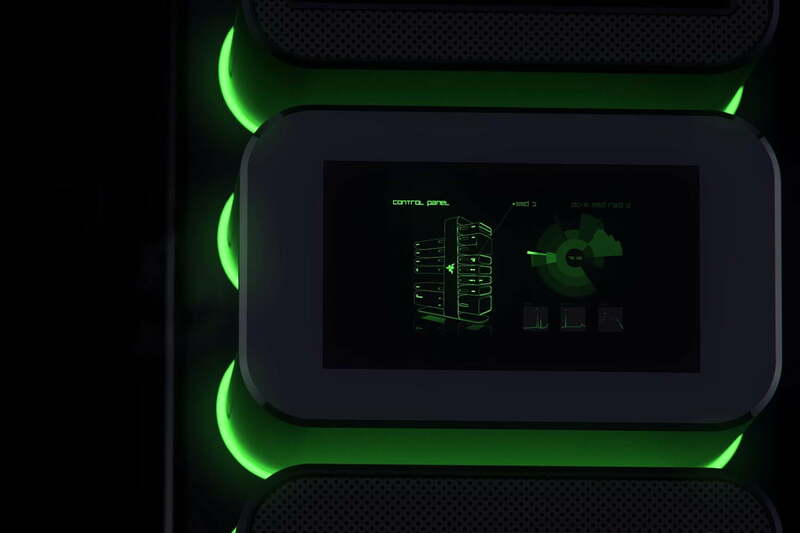 Each individual module will need its own cooling, and it’s not clear how a high-end video card like the Nvidia GTX Titan could survive for long while encased in one of Razer’s cramped pods. The company says that they’re combating heating issues with a combination of mineral oil (a non-conductive liquid) and water cooling, but without a working prototype on the show floor, such claims have to be taken with a sizable spoonful of skepticism. No matter how the system cools itself, there’s of course the not-so-small matter of cost. A combination of mineral oil and water cooling would be rather exotic, but Christine could be expensive even without it. Owners will first have to buy the main tower components connect to, and it’s easy to imagine it being sold for $400 or $500. Clearly, those are large sums to put down, but Project Christine will require custom fabrication and will probably be sold in small numbers at first. Then there’s the cost of the pods themselves. If Christine really is fanless, and some form of liquid cooling is used, then each pod could add thirty or forty bucks to every component. Add it all up, and we’re talking about close to $1,000 before components even enter the equation. Project Christine, just $99.99 per month! Razer hopes to address the expense issue with some creative marketing. The company’s CEO, Min Liang-Tan, told us in a recent interview that he is considering a subscription model, in which owners “subscribe” to the system and in return receive hardware updates on a regular basis. The subscription could be built into tiers, with the tier 1 subscribers receiving the latest-and-greatest gear. Once new hardware is released, the tier 1 subscribers would return their old hardware, which could then be passed on to tier 2 subscribers. And so on. Another possibility is a trade-in market, where owners could return old components for discounts on new ones. The old components, could be-sold by Razer after reconditioning (if any was needed), making it possible to offer both the system and its components at a more reasonable price. Whatever approach Razer decides to take, we think there will be no shortage of interest (if Christine works as promised, of course). Ease of use is a trait repeatedly proven to sell, and desktops are a device that sorely needs to be more accessible if manufacturers want them to become more popular. Though gamers are Razer’s obvious target audience, we can also see Christine becoming a popular workstation. Businesses would love having the ability to improve their hardware without buying an entirely new PC. While this concept is certainly exotic, there’s a good chance it will appear as a real PC within the next two years. Razer has turned many of its past ideas into real products, albeit with a few changes. The final version will probably have larger, less futuristic modules, at least one cooling fan, and early versions will come with a processor in the center tower rather than a module. Oh, and it’ll cost you a kidney, whether it’ll be in one lump sum or a subscription, you should start saving now. The likely high price of Project Christine means any revolution it inspires will be slow to march. However, if it takes off, other companies will take note, which means this concept could one day lead to a standardized modular form factor. Unlikely? Maybe. But we can dream.